To explore biological systems, researchers perform experiments designed to generate a signal corresponding to a marker or mechanism of interest. Proper signal visualization, detection, and quantification are therefore paramount to the acquisition of accurate and reproducible data. Different experiments call for different visualization techniques, ranging from chemiluminescent antibodies for protein assays to laser-guided live animal whole-body fluorescent imaging. Technological advances now ensure that scientists have multiple imaging options to consider for most experiments. 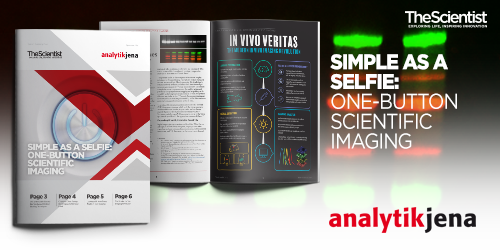 This free eBook was made possible by an educational grant from Analytik Jena.